NetControl.net Archive of :: GolfWeb - Everything Golf on the World Wide Web! 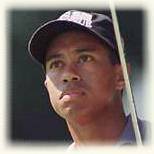 Tiger Woods beats Davis Love III with a par on the first playoff hole! 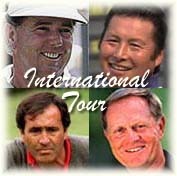 GolfWeb is the official web site for the three tournaments of the International Tour with a total purse of ¥500,000,000 ($5,000,000 U.S.). Follow the progress of the world's top players starting in November. Which player will dominate golf? VIP Golf - Play w/ a golf great! Web's #1 Golf Course Database!